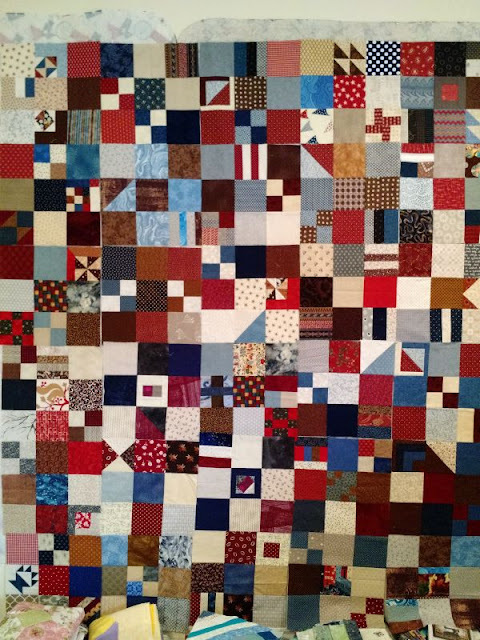 I have a file on my computer called "Other People's UFOs" where I save the photos of quilts that started off as someone else's projects. Many of them come to me at the top stage, some as blocks. 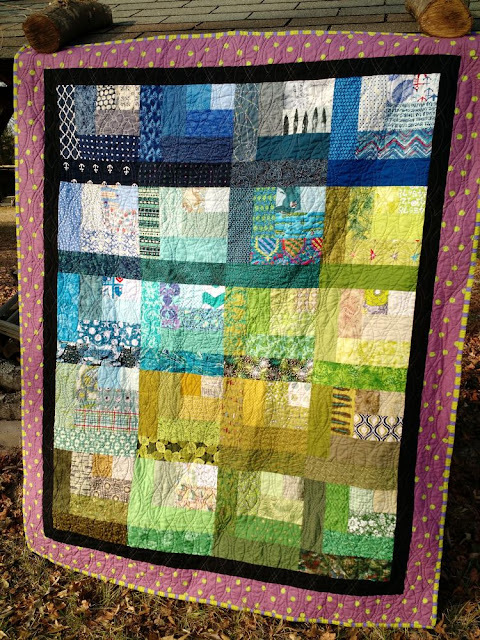 I love the variety that these projects bring to Covered in Love and I love that they get finished and go to forever homes! 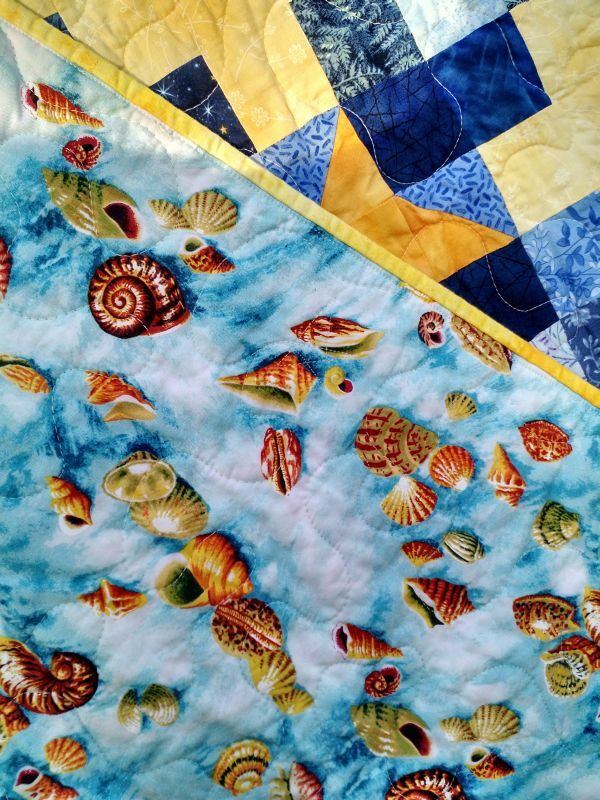 This pretty and very large top was pieced by Priscilla and quilted by Kathy. 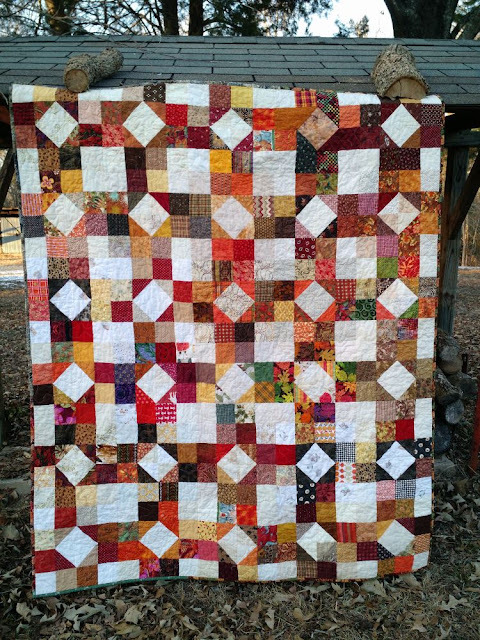 It's got a great scrappy, vintage look and the 8-patch rectangles are so different and neat. This bright flannel top was pieced by Suzanne and quilted by Kathy as well. Kathy and I agreed that quilting a flannel quilt feels like wresting a dragon. 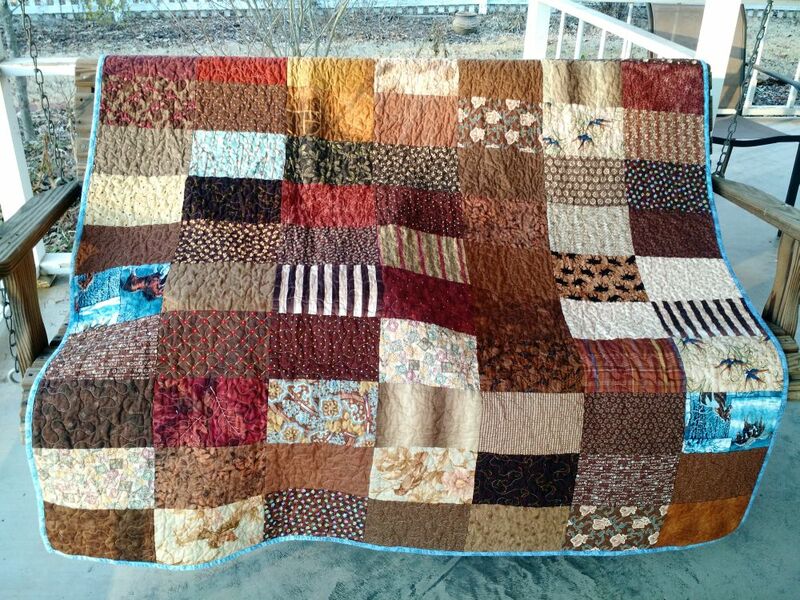 This one had a flannel backing as well, pieced from donated fabrics, so it's extra snuggly. 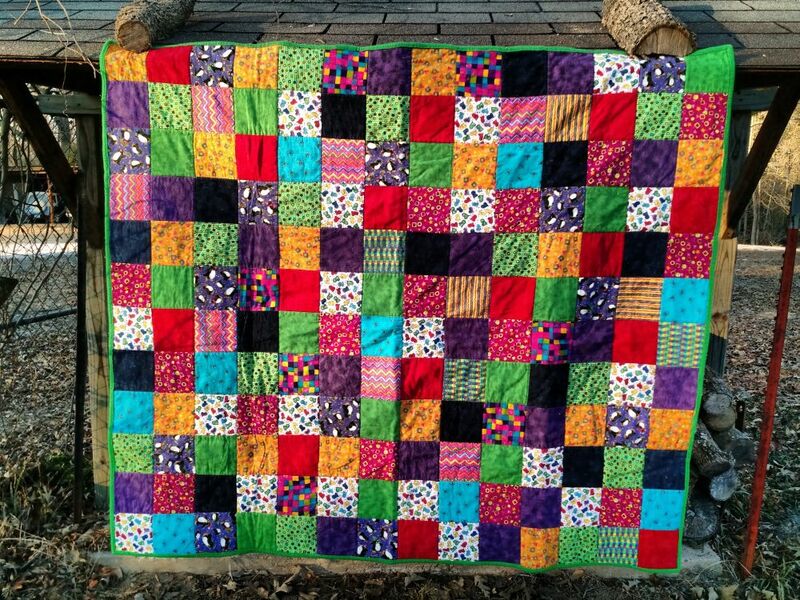 This quilt is obviously for a child with all the bright, fun fabrics. 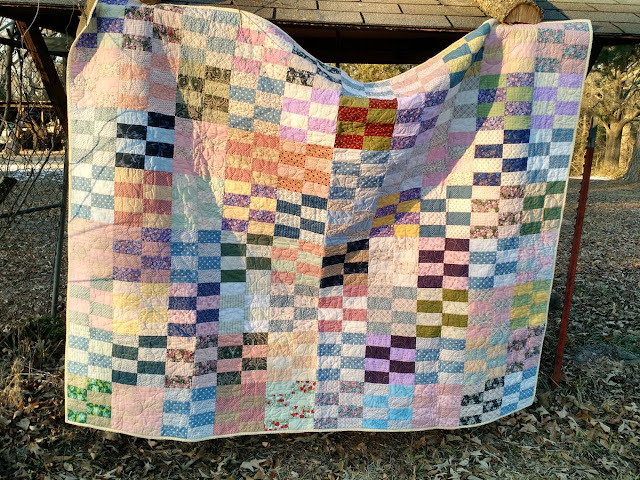 CiL doesn't give out too many quilts to children but rarely it does happen. 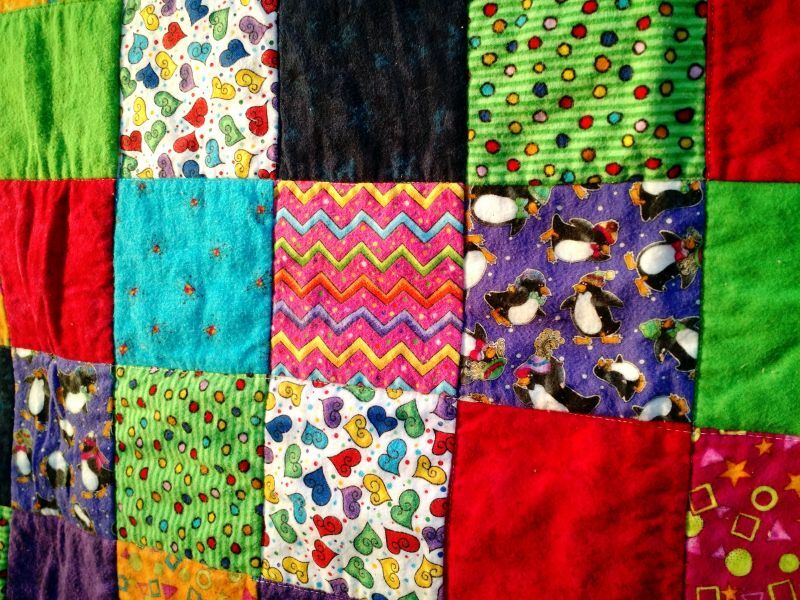 This cozy, cuddly quilt will be perfect for a child who needs it. Not that my block is perfect, it definitely isn't, but I think this block design is an ideal bee block! 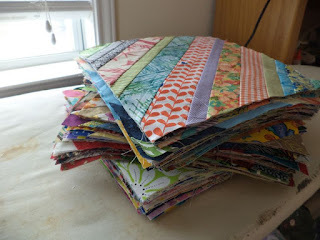 And check out the beautiful trimmings I made from the HSTs! Speaking of do. 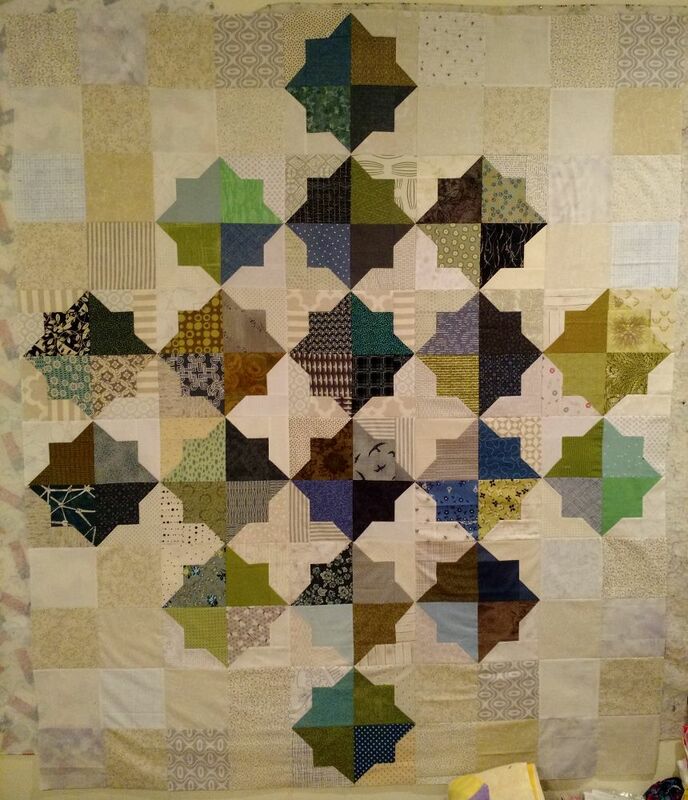 Good Stitches, I am still working on quilting the top from the square stars blocks we made in October. For some reason I am a glutton for punishment with these Good Stitches tops and always try to do something complicated. The snow took out our power for a few hours last week; one of my electricity-free sewing tasks was to arrange blocks from the Nov/Dec drive on the wall. Now to start sewing these together. I always need something to do with my hands while I'm listening to class lectures. Mechanically sewing together blocks is the perfect task! Brrrr! This week Texas got snow and ice and the whole state pretty much shut down. It sure is pretty, but it sure is cold. 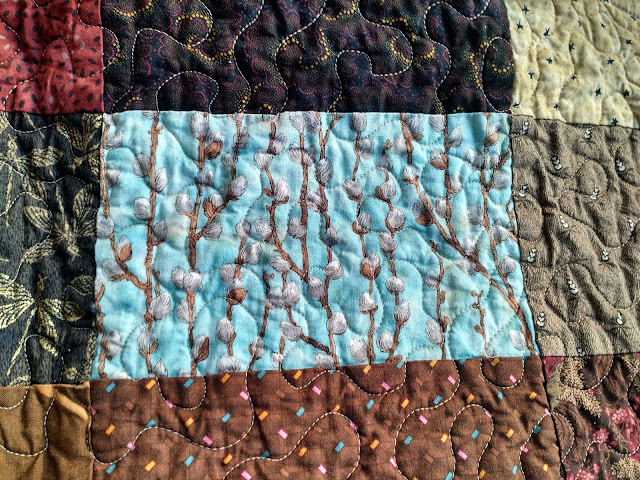 I have been spending my time in the nice warm house getting started on school work and finishing quilts. 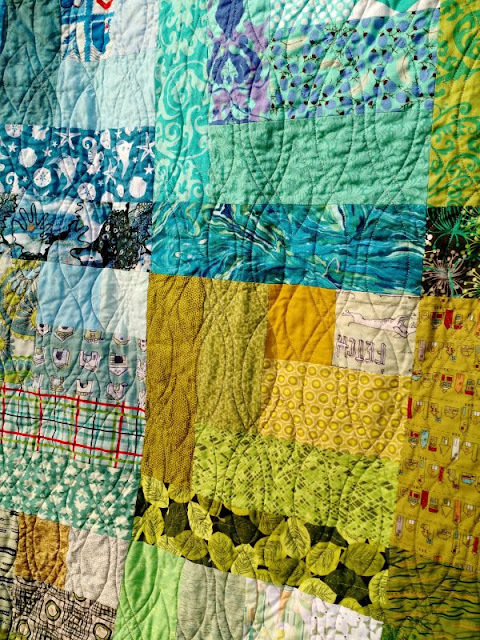 Today I have 4 more Scrappy Susannah quilts from the Fall block drive. 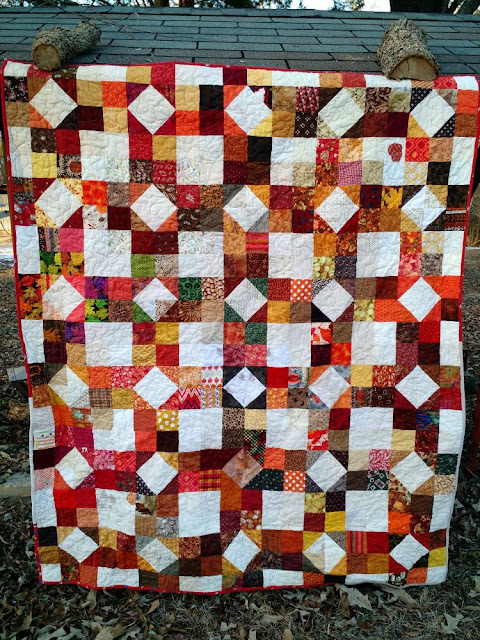 This brings us up to 8 quilts so far from that drive for Covered in Love! All 4 of these were assembled and quilted by me. Toward the end of piecing the tops I decided to try some with sashing for something different. I really like how the light colored sashing with cornerstones looks from a distance. 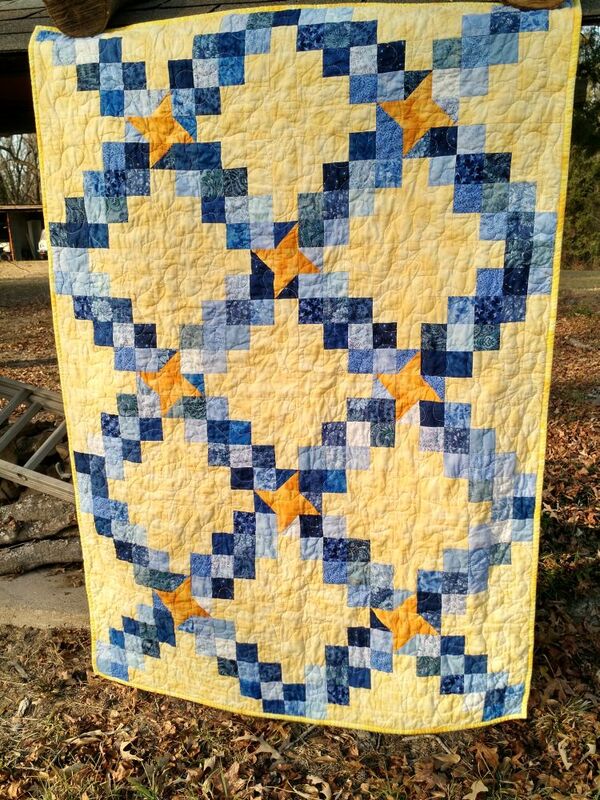 It's amazing how the sashing fabric can make one quilt look so minimalist and the other look so busy! Hope you are staying warm this winter and enjoying some time in front of the sewing machine! Moo is such a good sport. 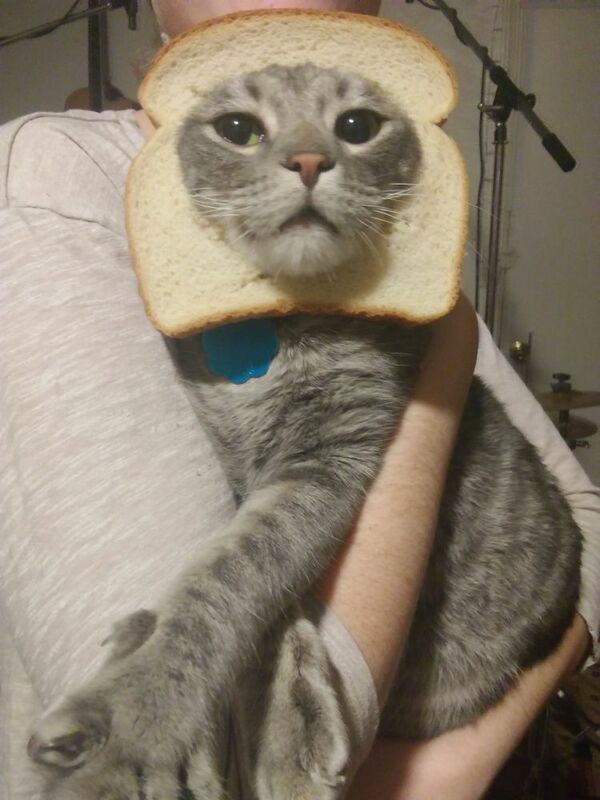 I'm sure he doesn't understand why boyfriend and I found this so hilarious, but he tolerated it for a couple minutes anyway. (Don't worry, he was rewarded liberally with pets and treats). 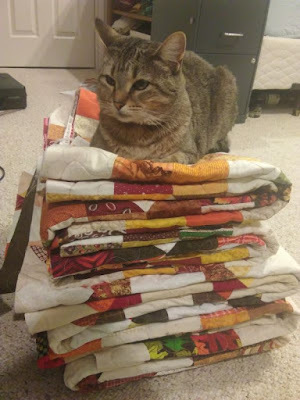 Meanwhile Rory is earning her keep as a quilt-weight, holding down a stack of Scrappy Susannah quilts I've quilted but not bound. She's like a paper-weight, but for holding down quilts. 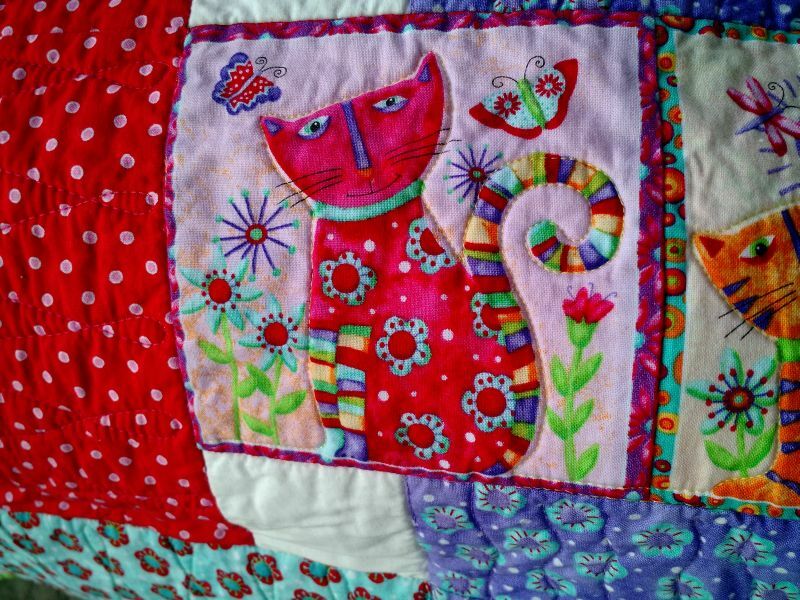 Mostly just decorative, but if you ever need to justify why you have one you can say, "Well, she's holding down my quilts, see?" Linking to Design Wall Monday. This brown manly quilt top was sent in by Sandra for Covered in Love. This lovely top was HAND PIECED! I wish I had gotten better pictures of the fabrics. 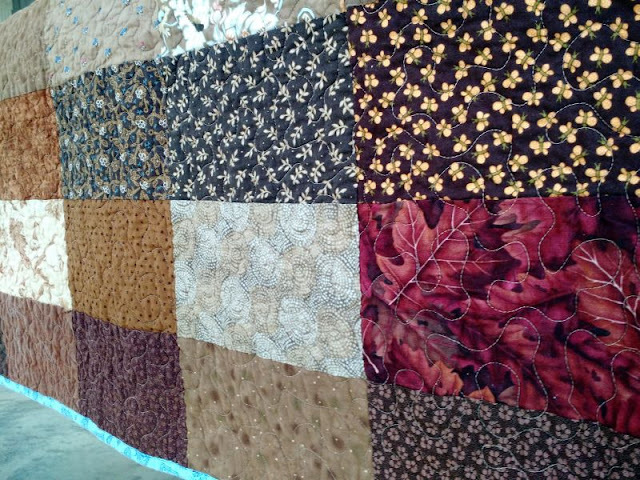 It's just a simple rectangle setting, but some of the fabrics are beautiful. This large quilt will be perfect for a man. 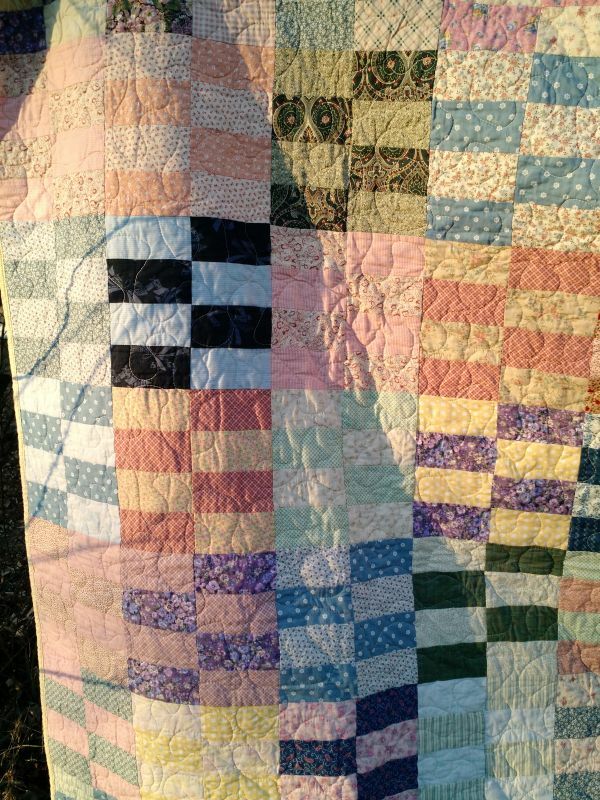 Since it's hand pieced I quilted it quite densely. 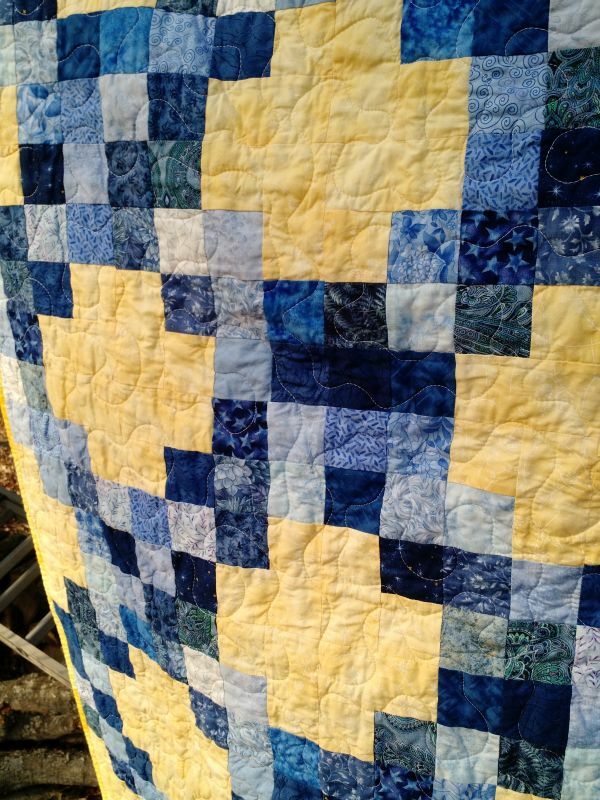 I bound it in blue to bring out the blues in some of the fabrics. 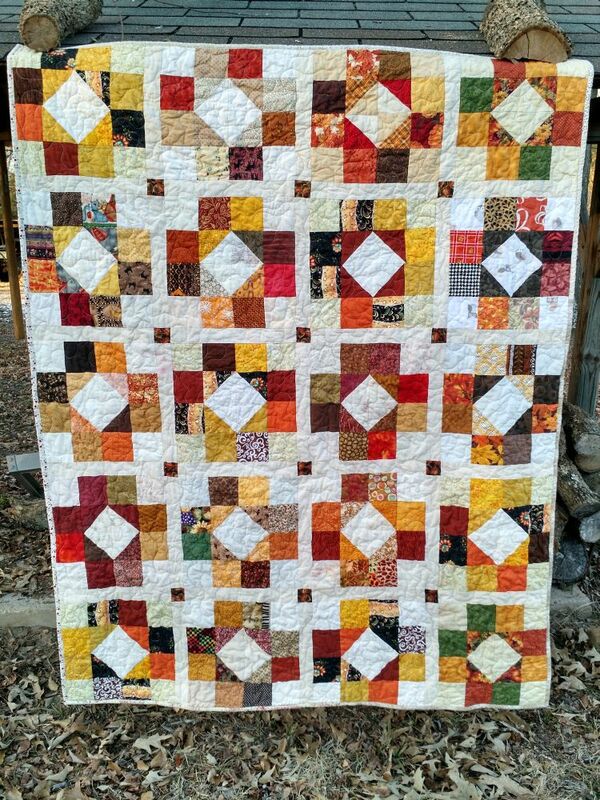 I have also gotten several finished quilts in recently. 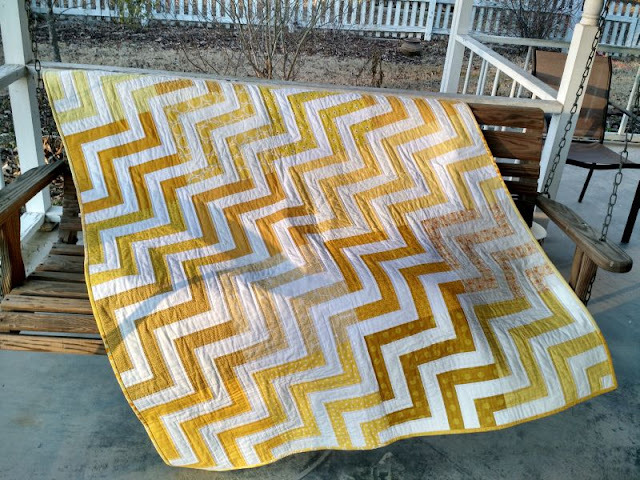 This pretty yellow zig-zag came from my do. Good Stitches group, the NURTURE circle. 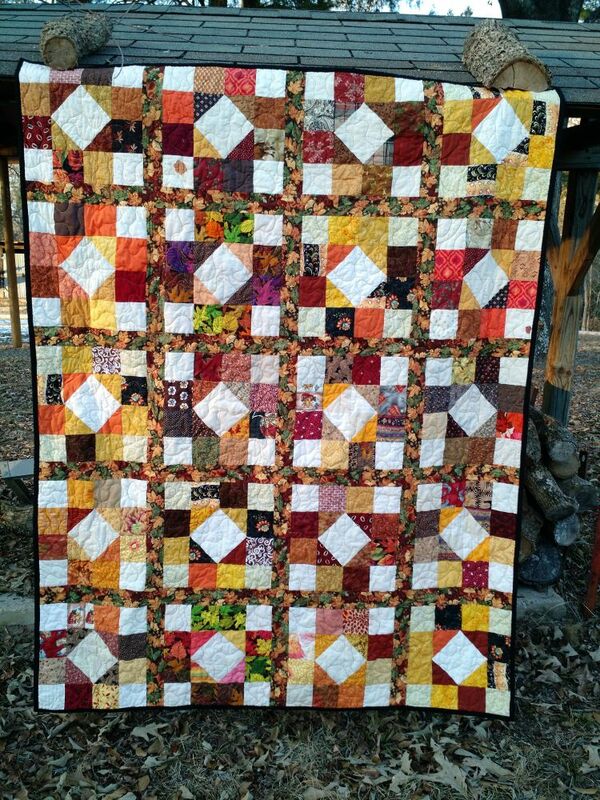 It was assembled by Jackie and quilted by Gayle, they both did a great job! Normally I contribute blocks to this circle, but this quilt is one of the ones from this summer when I was in New Mexico so Louise was a Block Angel for me and made two blocks for this quilt. 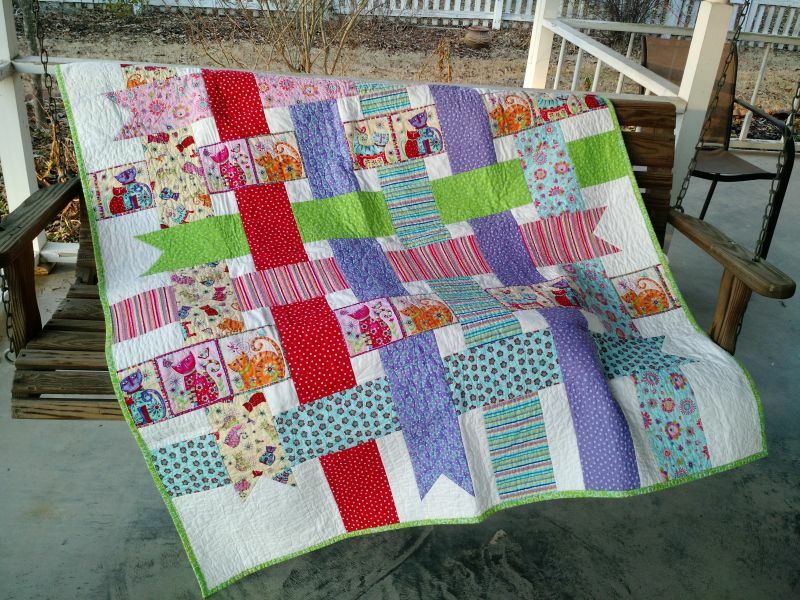 Speaking of Louise, I sent her a box of fabrics a while back to make quilts from for CiL and she just sent me this ribbon quilt made from the cat fabrics donated from Henry Glass. You can find her post about this quilt (and more pictures) here. Happy New Year! I got the new year organizing bug and decided to take control of my overflowing strings box. All the strings in this box are less than 2.5" wide. 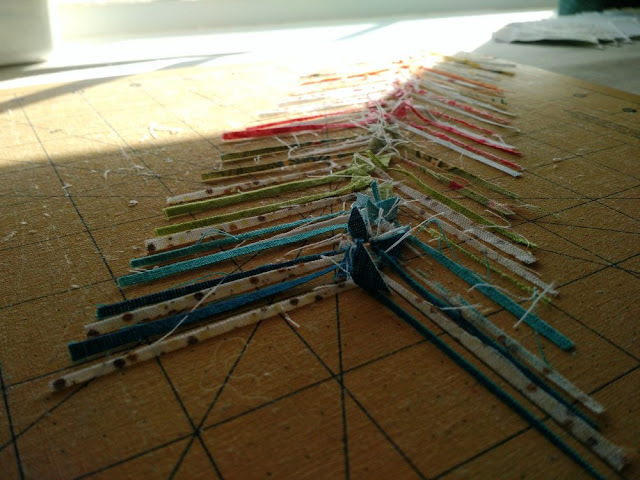 I have been trimming any strings larger than that into scrappy binding strips for a couple of years now, and I pretty much stay caught up with that. It took me a long time to decide to buy an AccuQuilt Go, but I have to say it is completely worth it for this sort of thing. 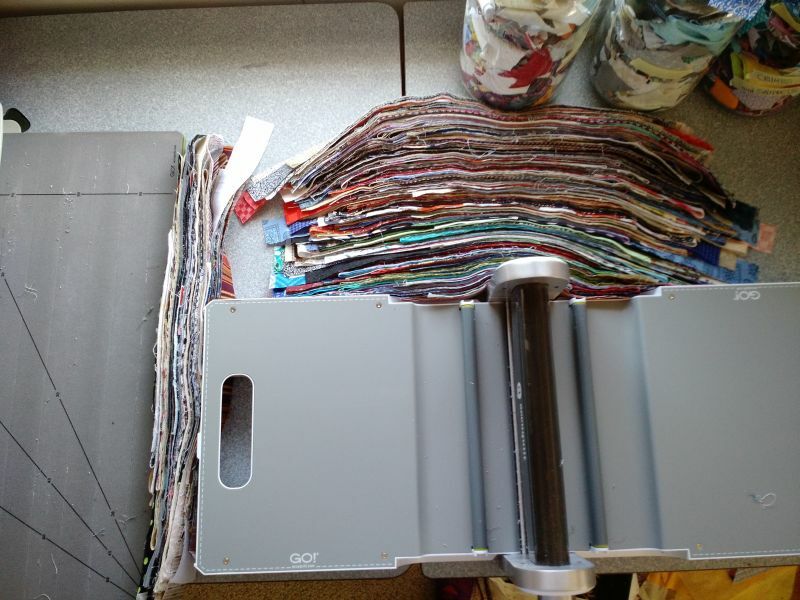 All the strips have been pressed and cut to 1.5" widths. 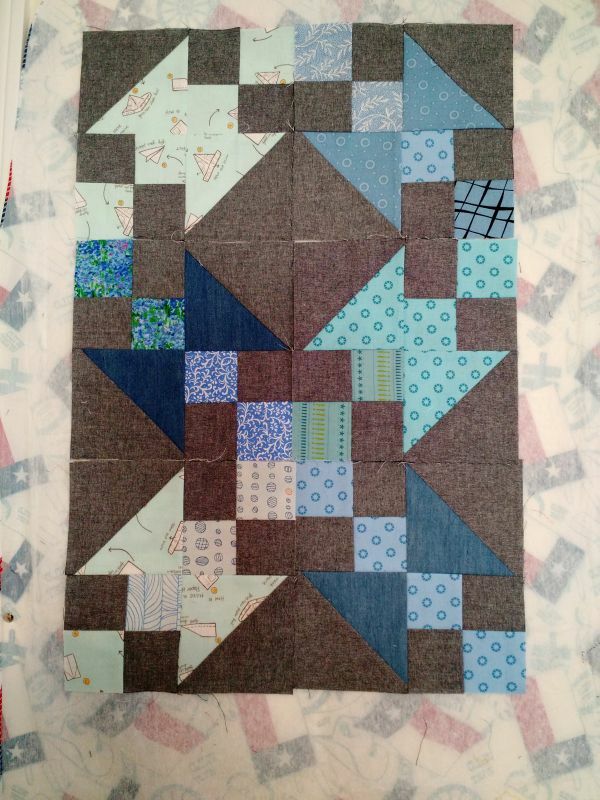 The first thing I'm going to sew with these is more of the string herringbone blocks you can see here. 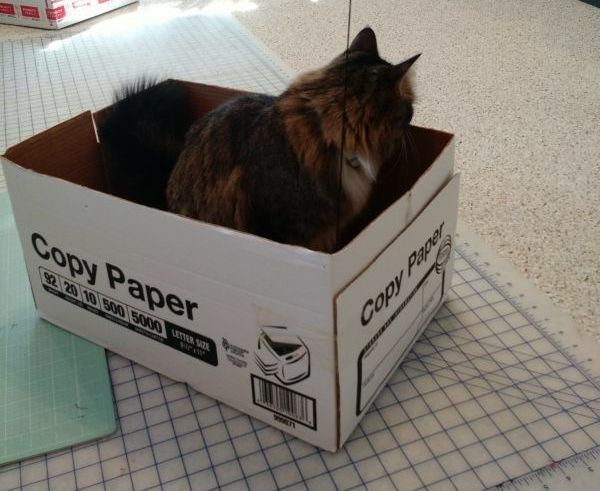 Inspector Rey confirmed the box was empty. 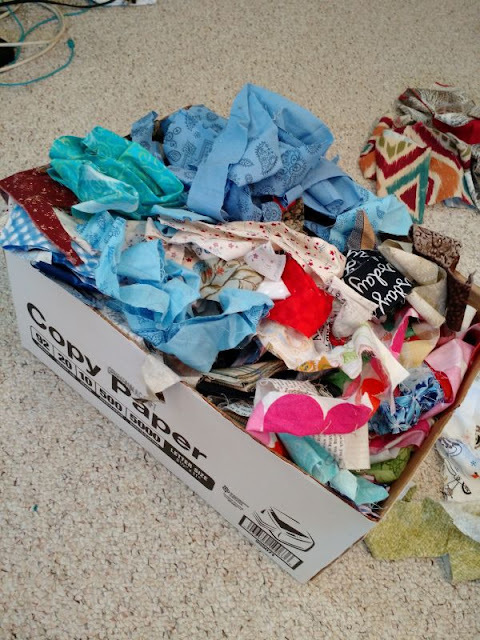 My next New Year project was the Rainbow Scrap Challenge. Every December I look jealously at the beautiful rainbow quilts being finished, so I finally decided to take the plunge. 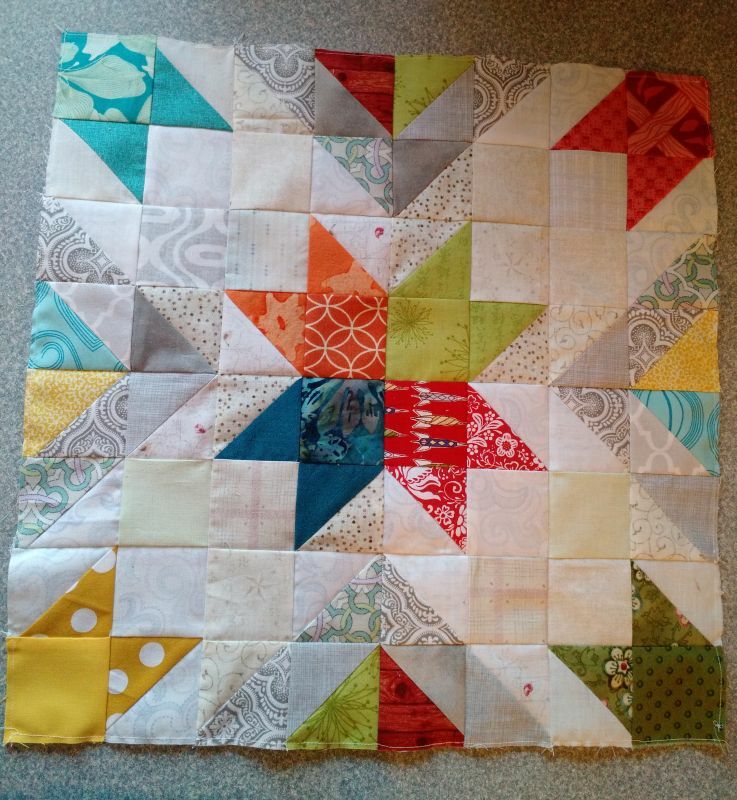 I'm sewing Buckeye Beauty blocks, 6 per month at 8" each, on a grey background. 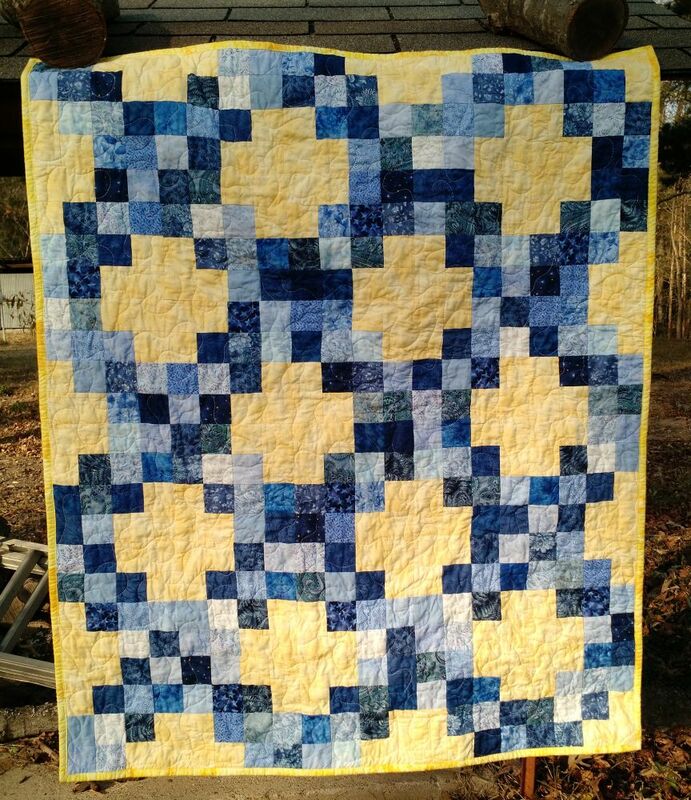 Inspired (well, copied) from this beauty at Treadlestitches. We'll see how it goes... I have a problem with these kind of slow quilt alongs, the same problem I have with leader-enders. I'm bad at waiting. 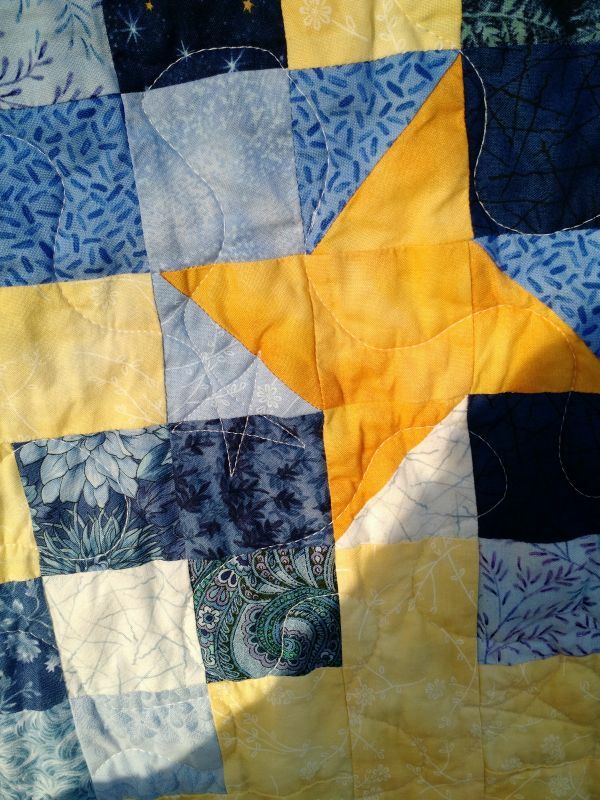 At some point, usually before very long, I get excited and just make the rest of the blocks and finish!